Most business owners are focused on generating leads and there is often little time spent on focusing on a particular target. Taking a blanket approach to attracting customers can get expensive and produce very poor results as well because your marketing budget will be spread too thin and your marketing efforts will lack focus. If you have a large budget and are looking to “test the waters” then this is not a terrible marketing strategy, it just isn’t the most effective or affordable one. Many businesses fail as a result of not getting feedback from customers and even those who didn’t buy from you and instead they just create a product or service and start pushing it everywhere in the market place. A much better approach is to spend some time talking with your customers to get feedback about your product or service. You will discover the their likes and dislikes as well as recommendations and suggestions for improvements. This process is known as aligning your offering with the customer. By purposefully sculpting your offers, products, and services to match the needs of your customers you will be creating a product/service that is exactly what your customers have been looking to purchase. Just as important as the feedback from customers who actually purchase is the feedback from the ones who abandon the purchase. Take some time to ask them questions about their decision. Find out why they didn’t choose to purchase or do business with your company. You will be amazed at how open these individuals will become in many cases and the information you receive is incredibly valuable to improving your products and services. 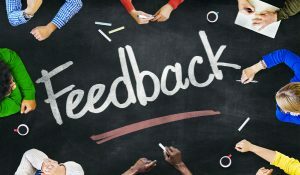 If you are part of the demographic that feels you have a stellar offer, superior product or top notch service but you continue to have lackluster sales results then it is time for a change and that change should come in the form of gathering feedback. We have worked with hundreds of clients who didn’t have any process at all for collecting this type of feedback. We are not talking about reviews in this case as that is a different type of feedback altogether. Reviews and testimonials are terrific and you should definitely be collecting these from customers (more on that in future posts) but right now the most pivotal change you can make for refining your business to generate more leads and sales is to refine your actual product or service. The way to accomplish this refinement is to talk to your customers so that you can align your business with your target audience. Next time you are providing a quote with a client and you book that follow up to try and sell them, make sure to also schedule a follow up after a period of inactivity to talk with them or send an email to request some information about why they did or did not make the purchase. Take these opportunities every time you talk to a new lead or customer. What you are looking for specifically is patterns of things that keep repeating themselves. If the same or similar issues keep appearing then these are the areas you need to switch your focus toward. You will benefit tremendously in all areas of your business because creating a more refined product or service offering will impact all other facets of your business from repeat purchases, referrals, returns and refunds all the way down to having more effective advertising campaigns because the product/service will start to sell itself when it checks off most of the checkboxes on a leads “must have” list. Happy marketing this quarter and all the best with collecting feedback from your leads. We have some templates and scripts that you can utilize to get this kind of information effectively from your leads. If you are interested, contact us and we will share our tried and tested templates and scripts with you to help you get more accurate feedback quickly from leads and customers.